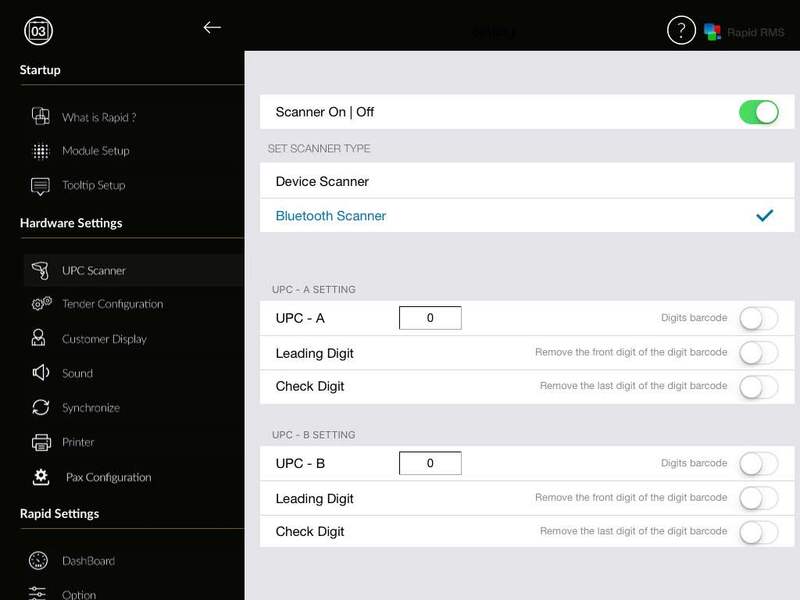 1: Open Settings on iPad, click Bluetooth and find the scanner to ensure there is a connection. Note: If scanner is not connected, you will need to follow the scanner’s manual on how to connect to Bluetooth. 2: Open Rapid RMS App, click Settings on login page. 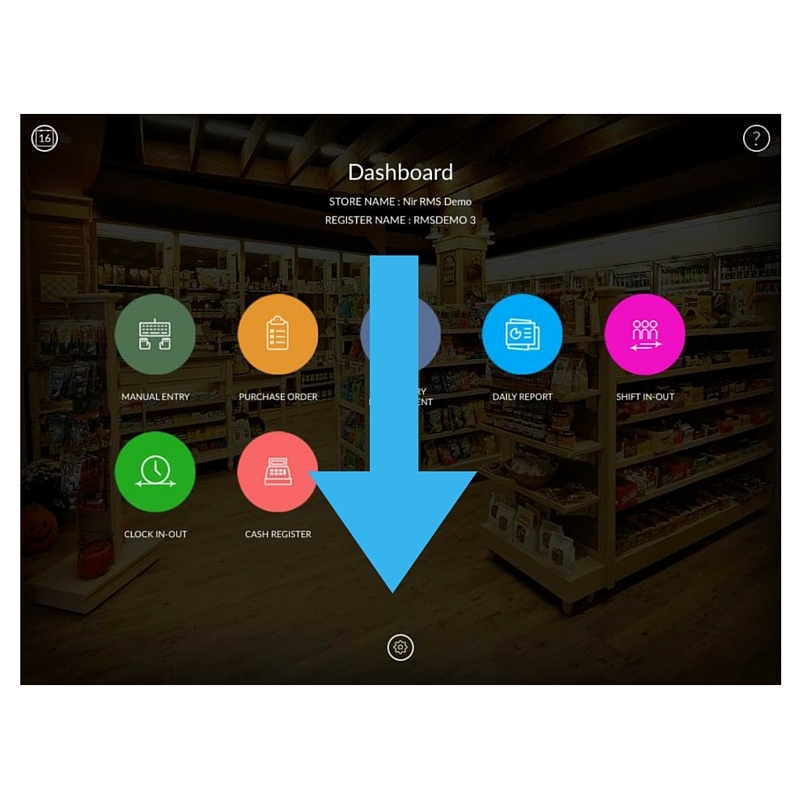 3: Click UPC Scanner and select the appropriate scanner type (device scanner or Bluetooth scanner).